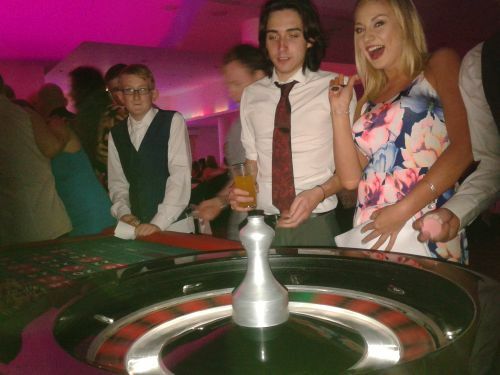 "A great event, your casino was thrilling." Hi Tom..Everyone had an amazing time, I've recommendeed you to two friends already..It really was amazing. Dave "VOODOO Nightclub "Cork. fun casino Cork ..600 Guests. "March 2018"
" A Great night Tom, We will be booking with you again ! 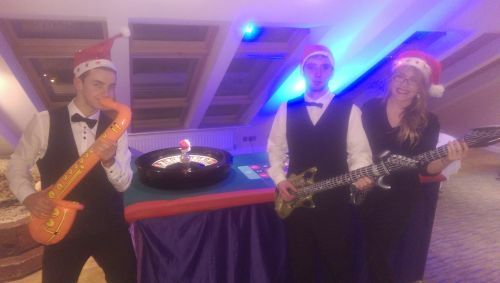 "We hired Tom and the lads from Premier Casino for our Christmas Party fun casino night in after previously using them in . The professionalism and humour of the lads played no small part in making the evening a great success and even brought out a few ‘never seen before’ competitive streaks from some members of our company. 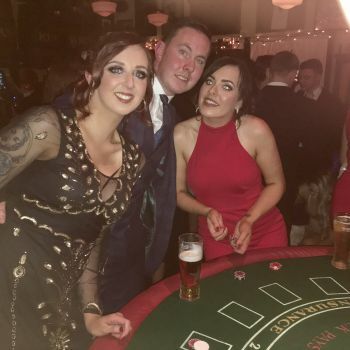 I'd highly recommended Premier Fun casino for their dedication in providing a quality service which represented great value for money and was great craic"
fun casino Waterford, Sports Partnership Minnies, 3rd year booking. "Great professional team at Premier Fun Casino, they assured me all the way to leave all in their capable hands, they did not disappoint. professional in every aspect, they brought the fun element to another level. Would highly recommend!" The Lads Take a break Xmas Fun Casino Mayo..They just never Rest!